We come from far and yet we are so close to you. In Spirit there is no separation. All That is Primordial Light exists as a united field of Consciousness, not diminished or endangered by lower frequencies that seek to destroy light. But Primordial Light is indestructible and it is the illusion of the low minded to believe that light can ever be destroyed! It Itself cannot, but you can choose whether to turn to Divine Light and let it govern your life or to unite your attention with lower frequencies that bring with them the illusion of separation and suffering. Yes, suffering is an illusion from the point of view of Divine Light, because it does not exist within It. And we wish to make it clear to you that Light is Fundamental Reality. It seems to be absent if you decide to dissociate from It. If you shut down and choose to look into darkness. In that darkness a different world arises, the world of suffering and limitation and all the associated emotions that are not Love. When you are suffering, there is naturally no light. Yet please understand that Light still exists as the eternal underlying condition of your world and your experiences in your world. Self-Radiant Primordial Light cannot be destroyed because it cannot be divided, it cannot be diminished. It is your true Transcendental Spirituality. There are subtle forms appearing in the Light, but which are always lower realities that take on form. They manifest as the higher realms that appear as colorful, beautiful worlds, swinging and moving and delightful. They are changing all the time, following the currents of limited consciousness and higher will. But they are not eternal and not Truth. They are forms of mind. 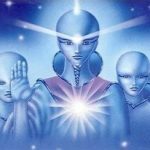 They are not your true Spirituality. They are dreams you can dream to experience these worlds if you feel attracted to them. But they are not Truth, and they are definitely not your own Spiritual Truth. But many of you tend to identify with them by presuming to be a limited consciousness, even in the subtle worlds. And according to the law of creation, in the manifested worlds, you become where your attention goes. This is how you start to believe in your limitation. It happens in all worlds, the higher and the lower worlds. As much as the subtle mind can take on subtle forms and worlds, also the gross and low vibrating mind can take on the forms of lower worlds in which separation and suffering seem to be real. But they are in truth creations that are not necessary. And neither the subtle worlds are. They are just created for the sake of experiences. But these are entirely up to the play and liking of their creators. You all are creators too. Look at your world and you recognize your believes that created it. Yet you are free to transform them. As a consequence your world changes with the transformation. This is not new to you, but you nevertheless live without truly integrating it. This is so because of your identification with a limited existence. As long as you presume to be a limited being you naturally experience the opposites inherent in the conditional worlds, high or low. If you understand this, you wake up from your illusionary dream and open your mind in order to transcend it. With this we say that your mind is the key. You can only transcend the mind if you understand that it is itself the limitation to which you have submitted yourself. Your True Spirituality and Native Root Condition is prior and beyond mind. To connect with It, to disregard your mind, to enter the Vast Stillness of Conscious Light, is the solution to all the problems in your world, including your own. As long as you play in the field of creation merely, being captured in the midst of it, appearing to be part of it, your dilemma persists. But when the curtain is lifted, when the veil of ALL manifested worlds vanishes, your True Spirit Emerges as The One you ARE. Not as a separate individual, but as the Pure Consciousness of the Primordial Light. It is your deepest Spirituality. It is your True Nature. Your dilemmas fade away in It and your world becomes Bright. And then you realize that there is only Brightness, Happiness, Love, Bliss. Then you discover that you could have always been There, always. But it was your choice to visit and experience the lower worlds. You see it is not about who “wins” the battle: the lower or the higher worlds. It is about to accept the Truth of Existence, in which the battle occurs. It is you yourself who instigates the battle again and again. Because you assumed a limited form. This is true also of the higher dimensional beings. “Choice of Limitation!” – is the answer to all questions. Therefore if you desire to end this war with yourself and lower worlds, understand first your deepest Spirituality and reconnect with It. If you do, you will experience true freedom and you will recognize that you yourself are the very one that is inventing the world that you experience right now in this moment with all its contradictions. As long as you hope for betterment only, there will be short incidents in the context of the eons of creation, that relieve your experience a bit of the darkness. But it tends to come back and to fluctuate forth and back, it continues to oscillate until you choose to step out of the play, until you remember and connect to your True Spirituality. Then you realize that betterment is not a solution but the transcendence of mind altogether. How do you transcend the mind? Look for the Ones Who have Transcended it and learn from Them. We are with you with all our Blessings! 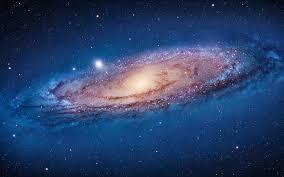 We are the Light Beings from the Andromeda Galaxy!